Hello Bookworms & Happy November!!! I’m back to being epically late with my wrap-up/haul & I’d like to think it’s because I’ve been so wrapped up in my reading…well at least this is what I’ve convinced myself to be the reason lol. October was a good reading month both in quality & quantity, seems that I’ve managed to break my 5 book per mth cap. Earlier in the month I attended NYC Comic Con & actually enjoyed this event more than I did Bookcon. Much more chill & I got to see many more authors this time around, even got a chance to meet Julie C. Dao author of Forest of a Thousand Laterns. Julie was very sweet & signed a copy for me that I was sending to my giveaway winner Beth over at Reading Every Night as a surprise bonus. Fedex totally lost the package & ruined that but I quickly replaced the copy & sent it on it’s way to Beth sans to signature…who knows Beth, the package may still one day mysteriously show up at your door lol. October was also slow in flicks I actually wanted to see in the theater & I really thought for a moment there that I wasn’t going to watch anything. Then my co-worker reminded me that Jigsaw was being released Halloween weekend & the stars aligned for me to get my tickets (more on the movie towards end of post). I’ve been thinking of including the arcs/galleys I’ve been approved for in the month in these wrap-ups…yay or nay? or do you prefer a separate post? please let me know in the comments if this is something you’d like to see <3’s! 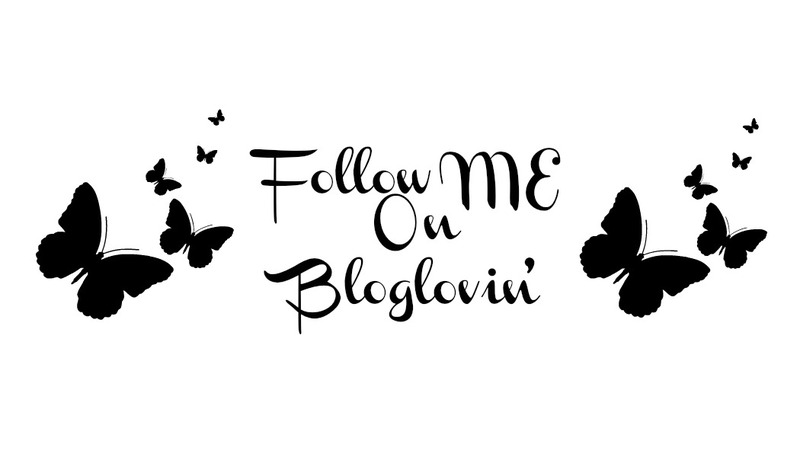 Some of you who have been around the blog for a while now might be raising a brow at both Sleeping Beauties & Jigsaw since I’m a self proclaimed scaredy cat *no shame* baha! Sleeping Beauties I do believe was me getting in the spirit of Halloween however, Jigsaw was not lol. Many years ago my bestie of 18 years wanted me to go with him to watch Saw IV in theaters only I hadn’t watched any of them for the previously mentioned reasons (i’m a wussss lol). He decided to sit me down & have me binge watch the first 3 movies til I walked away numb & ready for IV smh. I honestly think I can tolerate psychological horror but not whatever IT falls into cuz no damnit! I’ve banned all red balloons from my home, sorry tiny humans. Anyways, Jigsaw wasn’t anything new new lol, it followed the same ol’ formula & delivered with the shock factor in regards to the games themselves. However, I saw the ending coming within the first 30 minutes & I’m not THAT person….you know? the one that ALWAYS predicts the ending making you feel clueless? yea, I’m not this person so when I figured it out, the jig was up (jeje see what I did there?) smh. I doubt I’ll continue watching any future movies in this franchise. OwlCrate Exclusive Patch from Laserbrain Patch Co.
What are your thoughts on the June Owlcrate box? Have any of my bookish peeps read The Sandcastle Empire? For my fellow BOTM subscribers, what were your selections for June? also, if you subscribe to any other boxes & have a unboxing, drop your links down below <3’s! *HUGE thanks to Macmillan, Netgalley, and Cale Dietrich for the eGalley of The Love Interest in exchange for a honest review. All opinions are my own. Told in first person point of view, we get Caden (the Nice) as our narrator. Caden is your cliche blonde guy with blue eyes and abs for days haha! I don’t want to give away too much but just know that the spy organization plays no games when it comes to perfecting their love interests. Caden will come off as self absorbed & I believe it’s purposely done. I love my YA books but if we’re being honest, we all know that Caden is a representation of what we see as the male lead interest. Now Dylan doesn’t fall short either lol he plays the broody bad boy, so dark & mysterious with his book of poetry & leather jacket. Then we have Julia who is a a genius inventor in high school who has that quiet beauty. She’s so focused on her inventions that dating isn’t at the forefront. By the end of this book, Julia was hands down my favorite of the characters but no spoilers here lol. We get two other supporting characters, Natalie & Trevor who also attend the same high school and are in a relationship. They also happen to be best friends with Julia & so we get to see them join in on the battle of the Nice vs. Bad. These characters are over the top versions of what we see in the YA genre & I enjoyed the satirical take. I’ve seen other reviews critique the one-dimensional characters which is true…but I don’t think the author set out to have us connect with these extremely tropey characters. If you’re looking for characters you can connect with, this isn’t the book for you. This is the book you pick up if you’ve read tons of YA, love it to death but can still poke fun at the many tropes we often see in our beloved books. The Love Interest is out today (links to buy can be found at the very top), have any of you awesome bookworms picked up a copy? if you’ve already read it, what are some of your thoughts? Goodreads Monday is a weekly meme hosted by Lauren’s Page Turners. This is my 1st time participating in the Goodreads Monday meme & I have Danielle over at BooksVertigoandTea for inspiring me to give it a go through her lovely picks 😉 To participate, you simply choose a random book from your TBR and show it off. Don’t forget to check out Lauren’s blog and link back to Lauren’s Page Turners and add your own links <3’s! Happy Monday book lovers! hope everyone enjoyed their weekend, my hubby & sis took me out for dinner both Saturday & Sunday which meant the kitchen was undisturbed in my home & that is just BLISS! Happy belated Mother’s Day! I wasn’t able to touch my blog this weekend & so I thought today’s random TBR pick would be in honor of Mother’s Day. I have not yet read The Mothers but own a copy as it was a Book of the Month pick some months back. From what I’ve gathered, this isn’t your sweet ode to mother(s) rather a tale told by a group of elderly women known as The Mothers. They set out to tell the reader the main character’s story (possibly cautionary) while imparting judgement on the characters from their positions of wisdom. I love when I come across books told from non-traditional/different POV’s. All good secrets have a taste before you tell them, and if we’d taken a moment to swish this one around our mouths, we might have noticed the sourness of an unripe secret, plucked too soon, stolen and passed around before its season. It is the last season of high school life for Nadia Turner, a rebellious, grief-stricken, seventeen-year-old beauty. Mourning her own mother’s recent suicide, she takes up with the local pastor’s son. Luke Sheppard is twenty-one, a former football star whose injury has reduced him to waiting tables at a diner. They are young; it’s not serious. But the pregnancy that results from this teen romance–and the subsequent cover-up–will have an impact that goes far beyond their youth. As Nadia hides her secret from everyone, including Aubrey, her God-fearing best friend, the years move quickly. Soon, Nadia, Luke, and Aubrey are full-fledged adults and still living in debt to the choices they made that one seaside summer, caught in a love triangle they must carefully maneuver, and dogged by the constant, nagging question: What if they had chosen differently? The possibilities of the road not taken are a relentless haunt. A collection of essays about growing up the daughter of Indian immigrants in Canada, “a land of ice and casual racism,” by the cultural observer, Scaachi Koul. In One Day We’ll All Be Dead and None of This Will Matter, Scaachi deploys her razor-sharp humour to share her fears, outrages and mortifying experiences as an outsider growing up in Canada. Her subjects range from shaving her knuckles in grade school, to a shopping trip gone horribly awry, to dealing with internet trolls, to feeling out of place at an Indian wedding (as an Indian woman), to parsing the trajectory of fears and anxieties that pressed upon her immigrant parents and bled down a generation. Alongside these personal stories are pointed observations about life as a woman of colour, where every aspect of her appearance is open for critique, derision or outright scorn. Where strict gender rules bind in both Western and Indian cultures, forcing her to confront questions about gender dynamics, racial tensions, ethnic stereotypes and her father’s creeping mortality–all as she tries to find her feet in the world. Every time I consider canceling my BOTM subscription just so that I can catch up with the ones I have so far…They hit me with the ALL STAR LINE-UP of books I can’t resist smh. I’ll tell you right now, May was no different since I’ve already selected my books & they sweetened the deal lol. Another perk to this box is that at least one of the books in the box (as of late) is a pre-release which I think is AWESOME! So, since they’ve already charged me the renewal fee, you can expect to see at least 3 more of these un-boxings LOL! What are your thoughts on the April Owlcrate box? Have any of my bookish peeps read The Upside of Unrequited? For my fellow BOTM subscribers, what were your selections for April? also, if you subscribe to any other boxes & have done a unboxing, drop your link down below <3’s!